I dislocated my shoulder during the week I was preparing to preach the Genesis story about Jacob’s encounter with God by the river Jabbok. That entire week, I was moving slowly with a fair amount of pain; all that week I was living with my own limp so now I have so much more sympathy for Jacob than I’ve ever had before. As I studied Genesis 32, I kept thinking about the ways we all wrestle with God; at least the ways I wrestle with God. I struggled mightily with my call to ministry. It took me years to be able even to hear a call; then more years to know how to say “yes” to that call; then even more years to lean in wholeheartedly to God’s call into ministry. I struggle to understand why cancer, dementia and hopelessness continue to be epidemic; why some babies are born much too early and some people die much too soon; why violence and arrogance and divisiveness seem to be valued in our society while compassion and compatibility and humility are scorned. Sometimes I struggle to forgive; I struggle with insecurity; I struggle with discouragement. It seems like I am always living my life with a limp. I imagine you have your list. I’ve come to believe that if we are human then there will always be ways we wrestle with life; ways we wrestle with God. 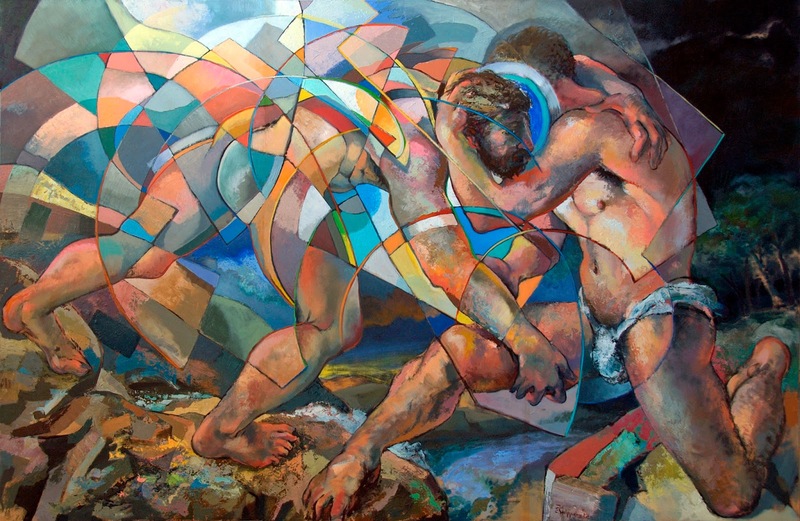 But what I began to see as I studied our Living in The Story texts for this week is that the wrestling match by the River Jabbok was not initiated by Jacob. 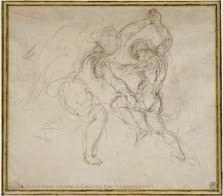 The story is very intentional to describe this wrestling as a Divine Intrusion, a Divine Interruption. Throughout the Jacob story, he had done plenty of plotting, manipulating and wrestling with nearly everyone with whom he came in contact. But in this story, we see Jacob doing his own thing, minding his own business, when out of the blue he is thrown flat on his back, looking at a world turned upside down. Scripture gives witness to a God who is ever breaking into the human experience in unexpected ways – intruding, interrupting and instigating relationship. When Jacob was brought to his knees in this wrestling match with God, Jacob held on for dear life. His determination and perseverance – even in the face of the Overwhelming Instigator – confirmed him to be the one who would continue to bear the Promise given to Abraham. In this struggle of becoming more authentically human, God shaped and sharpened Jacob’s faithfulness for the challenges yet to come. Jacob may have named this place Penuel. But God named him, re-named him: Jacob is transformed into Israel. Some time ago, I read an article about a young woman named Megan Phelps-Roper. She’s the granddaughter of Fred Phelps, the founder and leader of Westboro Baptist Church, infamously known as the “God hates fags” church. For most of her earliest years, Megan had been immersed in a world of judgment and hate. It was – literally – all she had ever known. She ate, drank and slept in a Certainty that Westboro was Right (with a capital R) and everyone else was Wrong (with a capital W). She believed beyond any doubt that her call in life was to proclaim the sin of the world and to announce its doom. But then, out of the blue, evidently God met Megan at her own River Jabbok and initiated a wrestling match. It’s been long. It’s been hard. It’s been painful. 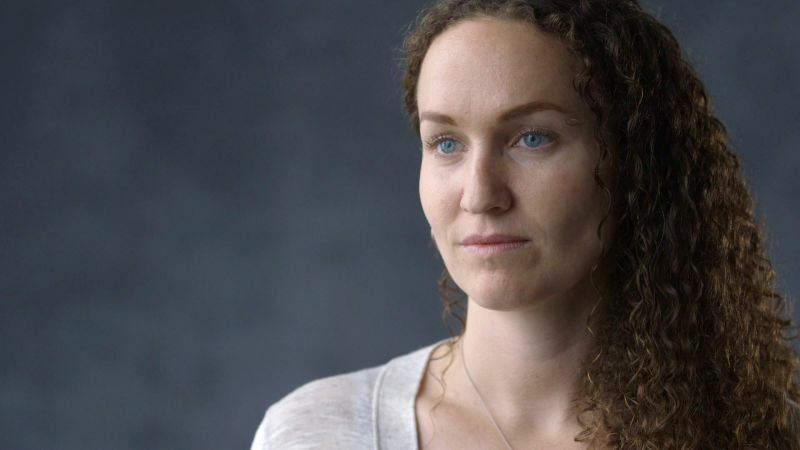 And Megan Phelps-Roper, who was once so sure-footed is now hobbling away from everything she has known, everyone she has known, everything she has ever believed. Now she is dead to her family. How does one have the where-with-all to make such a radical change? To turn so completely? To let go of the known way and to walk – however lamely – toward the breaking of a new dawn in a whole new world? Her wrestlings are not near over. In the interview, she pondered how her name is now associated with hate and judgment in the mind of many people. She wonders if the significance of her name might ever be able to change. I daresay Megan will be living with a limp for a long time. But I believe God’s Divine Intrusion into her life will result in blessing – not only for her, but for many, many others as well. We’ve been reading some of the letters of the apostle Paul alongside these Genesis stories. Paul’s is another story about God initiating a wrestling match with someone who was immersed in a world of judgment and self-righteousness. And there are many challenges – for Paul, for the congregations he pastored, and for us. Living into the vision and actually becoming one people of God, a whole people of Christ who really do live in the unity of the Spirit will always be a struggle. There are many who resist and even resent such a vision. So, even though Paul had been raised to new life, still he lived the rest of his life with a limp, needing always to lean into the God who had called and commissioned him for this work. I am more aware of God’s presence. I’m not willing to say God was the instigator, tripping me up in my garage and causing me to fall. But I am willing to say God is at work in all this, teaching me new ways to see and to be in my world. That said, there have been occasions in my life in which I am bold to name God as my Divine Intruder, as the one who interrupted what was and instigated something I never could have imagined on my own. Those times – like Jacob’s and Paul’s and Megan’s – are always very uncomfortable. Living by faith, walking into God’s unknown, letting go of what has been and trusting that the Creator is still creating new things in the universe – this is hard. Wherever these times of wrestling come from, we still can name them as opportunities; second chances to open our eyes anew to God’s presence and God’s way. We can let ourselves see life from a different perspective; we can rediscover our gifts and potential; we can get lots of practice leaning into the promise. I’m more aware of how important it is to stay grounded. When we lose our balance, when things change and we find ourselves making all sorts of adjustments, that’s when we can learn to live with intention and attention. We put one foot in front of the other, we take our time, we stay aware, we move with care. And we take time to “be still: to know that God is God” (Psalm 46). To trust that God is God. To let God be God. And we remember – with deep gratitude – how interdependent we are on the supportive grace and wisdom of others. And I am much more aware of the power of pain. When things are going well, it’s easy to become complacent. But when we hurt, we can be reminded that pain and hardship are the lot of most people in the world most of the time; we can become more sensitive to the struggles and the wrestlings of others. I’ve learned that pain can either shut us down and make us smaller. Or it can break us open and make us larger – more loving, more patient and more compassionate. Like Jacob may we hold on tenaciously to God – boldly expecting God’s blessing and trusting in God’s promise even in the midst of the struggle. Like Paul may we be empowered with new vision and passion for the people we are ever becoming, trusting that it is God who is always bringing us into being. Like Megan may we be bold to step out of what-has-been and into what-may-be. May God never cease sharpening and shaping faithfulness in each of us individually and all of us together for whatever challenges lay ahead. Terence E. Fretheim, “Genesis” The New Interpreter’s Bible, Volume 1 (Nashville: Abingdon Press, 1994) 568. Here is her excellent TED Talk.